Radio Quiz Shows were not necessarily “high browed”, but in general, TV Game Shows rarely achieved the level of dignity of most Radio Quiz Programs. There was one very notable exception, and that was the long running and popular What’s My Line? There were a number of elements which raised What’s My Line? above the noisy heap of other game shows. The show took place on a simple curtained set, and the game was always played for fun rather than prize money. In fact, even guest contestants who “won” by stumping the panel would only walk away with $50. It was the panel which really set What’s My Line? apart. As the program opened, host John Charles Daly would introduce one of the celebrity panelists who would then take turns introducing each other. The men on the show wore black suits and bow ties while the women appeared in gowns and often gloves. There would be a guest panelist, Fred Allen held the guest chair so often that he was considered a regular. The regular panelists included publisher Bennett Cerf, Broadway columnist Dorothy Kilgallen and radio personality Arlene Francis. When the long run on CBS (1950-1967) finally came to an end, the show went into syndication until 1975, and the only cast member to stay with the show was Ms. Francis. Arlene was born in Boston in 1907. Her Armenian father had been an art student in Paris when he learned that Sultan Abdul Hamid II had massacred between 80,000 and 300,000 of his countrymen, including his family. He immigrated to Boston where he opened a portrait photography studio. When Arlene was seven, her father moved the family to Manhattan in pursuit of greater opportunities. Arlene remained a New York resident until 1995. After college, Arlene entered the entertainment industry and became an accomplished stage actress. She performed in a number of local and off-Broadway productions, and appeared in 25 Broadway plays before her retirement in 1975. In addition to her stage work, she appeared on the radio. She was one of the hosts of the quiz show What’s My Name? beginning in 1938. The show was seen as a model for TV’s What’s My Line? which premiered a year after the radio Quiz show went off the air in 1949. Although the show had a number of male hosts as it went from network to network, Ms. Francis would foreshadow her TV longevity by staying with the show for its entire run. 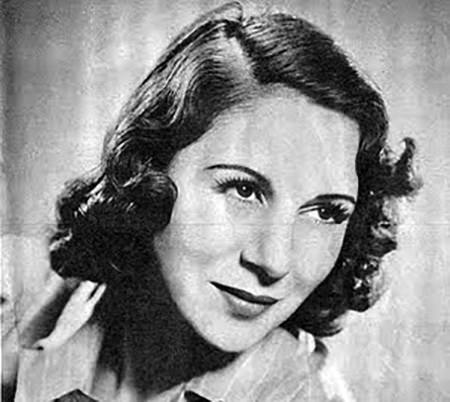 In 1940, she took over the role of Betty on Betty and Bob, which had been the first successful soap opera to come out of “the Hummert Radio Factory” in 1932. She expanded her Quiz show repertoire in 1943 by hosting Blind Date, which she reprised when the show was recreated for TV in 1949. Arlene’s strong stage experience made her a popular player on DuPont’s Cavalcade of America during the early 1940s. Arlene’s first marriage to Neil Agnew, a salesman working for Paramount Studios, ended in divorce after 10 years. In 1946, she married actor/producer Martin Gabel. Gabel often sat in the Guest Panelist chair on What’s My Line? and the couple was far from shy about sharing endearments on the show. They had one son, Peter, who became a legal scholar in San Francisco. In 1964, while working at the New York World’s Fair, Peter surprised his mother by appearing as one of What’s My Line? 's Mystery Guests. 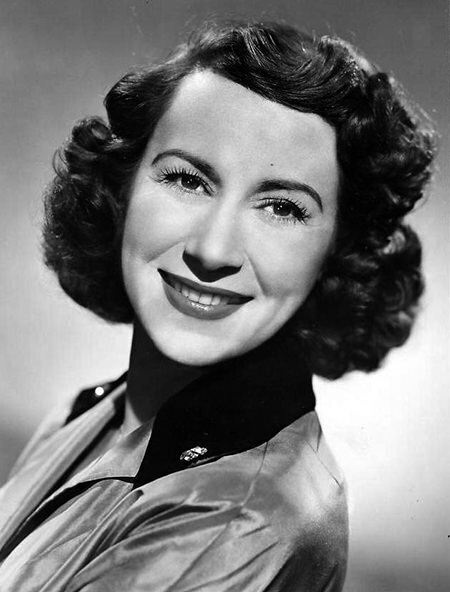 Be the first to comment on "Arlene Francis"